Et. al—those six characters represent the divide between authors whose names appear in the in-text citations of an article and those who don’t. In most disciplines, author name order is determined according to each authors’ respective contributions to an article. However, some disciplines, such as economics, favor alphabetical author lists. What are the ramifications of choosing one naming convention over the other? 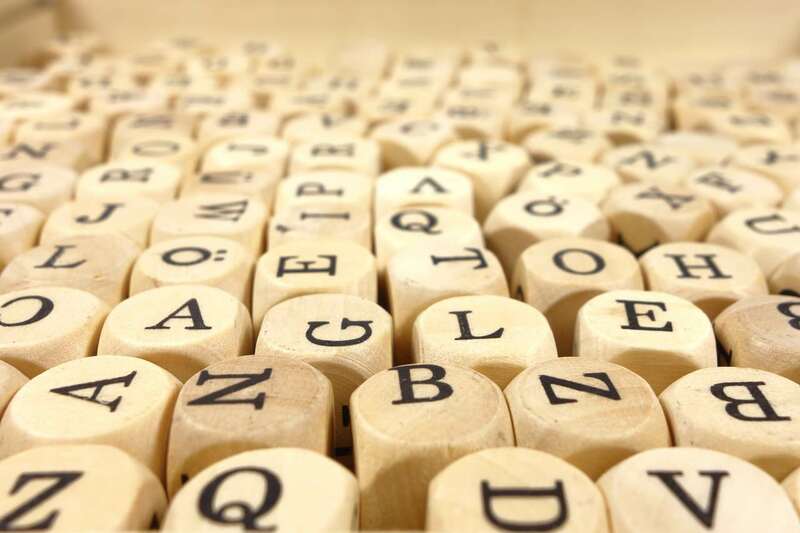 According to Matthias Weber, assistant professor at the School of Finance at the University of St. Gallen, alphabetical name ordering has adverse effects on scholars who names appear late in the alphabet. He points to numerous scientific studies that evaluated name recognition and professional advancement among scholars in relation to their name order and found that scholars whose names appear late in the alphabet are at a disadvantage in both areas. Additionally, scholars whose names appear late in the alphabet have been shown to enter fewer research collaborations to avoid being among the last in the author list. In the below interview, Weber discusses why he believes the convention of alphabetical author lists should be abandoned and why he thinks academic journals should take a more active role in deciding how author lists are ordered. In your article, you talk about the reality of “alphabetical discrimination” in academic publishing. Can you explain this concept? MW: Alphabetical discrimination refers to scholars with last names in the alphabet being at a disadvantage as compared to scholars with last names early in the alphabet. This discrimination is in general not a conscious decision by other people, it is rather a consequence of listing author names on a paper or references at the end of a paper in alphabetical order. Correspondingly, this “discrimination” is stronger in some disciplines, especially in those in which author names are often ordered alphabetically in the byline (if only references are ordered alphabetically, the effect is much weaker). In what ways has it been shown that authors whose names appear late in the alphabet feel the need to compensate for their last names in disciplines where alphabetical author lists are the norm? MW: Well, they cannot really compensate for this disadvantage. However, authors with surnames late in the alphabet do take actions to mitigate this disadvantage. It has, for example, been shown that scholars with late surnames collaborate less often in teams with multiple others (in order not to be pushed back in the byline where they would lose visibility). It has also been shown that scholars with later surnames write papers on their best ideas more often alone (likely to keep first authorship) than scholars with early surnames. Some try to manipulate their names to avoid this discrimination (e.g. scholars with a double surname, who have some freedom in deciding which one to use as surname on their publications or authors with a prefix such as “de,” “den,” “van,” or “von,” who have some freedom in determining whether this prefix appears as part of their surname on publications). You’ve mentioned the concern that scholars in disciplines that favor contribution-based author lists could read articles with alphabetical author lists and assume the order is actually contribution-based. Do you think this is a common problem and what are the implications? MW: Yes, I believe that this is a common problem. To understand why, one should not forget that the vast majority of disciplines order authors according to relative contribution. Scholars in these fields are often not aware that there are a few fields (most notably mathematics and economics but also a subfield of physics and parts of business and finance), which predominantly order authors alphabetically. There are multiple instances, where the opinion of scholars from different (but usually related fields) are important. This could be when job applications are judged for positions of interdisciplinary nature or when job candidates come from a different but related field (imagine a center for politics and political economy that would usually consist of political scientists and economists – political scientists on the hiring side may discount the achievements by candidates coming from political economy based on the fact that these may have no first-authored publications; the same holds for scholars moving from one field to another – if a mathematician with a focus on applications in physics wants to move to a physics department, his achievements may be considerably discounted). Also the committees judging grant applications often consist of scholars from different disciplines. Often, grant applications by economists fall into the category “social sciences” and are judged by a very heterogeneous committee of sociologists, political scientists, psychologists and economists – the non-economists in the committee are then likely to underestimate the quality of applications from economists with few or no first authored-publications (those with late surnames) and to overestimate the quality of those with many first-authored publications (those with early surnames). What are some examples of studies that have come out showing proof that alphabetical author lists negatively impact the careers of authors with last names late in the alphabet? MW: A number of studies look at different outcomes. Some studies look at whether scholars with surnames early in the alphabet are more likely to receive tenure at leading universities than surnames late in the alphabet (for beginning researchers, such alphabetical discrimination is much weaker, because many of the effects such as missing visibility of researchers who always disappear in the term “et al.” take time to have their full effect). This is indeed the case. Similarly, a study compares the name distributions at high-ranked and low-ranked universities and find that more scholars with surnames early in the alphabet work at the better institutions (controlling for other factors that could drive such results, such as for example ethnicity). There are also studies looking at whether articles from researchers early in the alphabet are downloaded more often and cited more often (because these scholars are more visible and more easily accepted as experts in the field that should be cited or because these scholars then get to work at better institutions having more impact than those at the end of the alphabet). While such a variety of outcome variables has been examined, the results are always similar and point towards scholars with names early in the alphabet being at a significant advantage. What steps do you think academic journals should take to help ensure fair author lists? Is it the journal’s place to decide how list conventions should be set? MW: I believe that, so far, journals usually stay out of authorship discussions and just accept the order given on the paper. But it may be a good idea for journals to discourage the practice of alphabetical ordering and to state that authors must be ordered according to relative contribution. In addition, journals could abandon the use of the abbreviation “first author et al.” and instead name all authors the first time an article is cited and afterwards use only the surname initials and the year, to reduce the difference in visibility between the first author and later authors. Journals could also list references in the order of appearance in the text (as some journals in the exact sciences already do) instead of listing them alphabetically. See how journals are using social media, innovative web design, content, and events to raise awareness of their newest articles and issues. Wendy Laura Belcher, former managing editor of Aztlán Journal of Chicano Studies, discusses how to avoid the perils of unclear communication with authors around manuscript decisions and ongoing revise and resubmit requests. If you want to speed up peer review at your journal, reassessing your team's current process is the place to start. In this blog series, we interview open access experts about how they're working to make research more accessible and promoting academic-led publishing. In this post, we welcome Roxanne Missingham, Chief Scholarly Information Officer at Australian National University. Libraries are shifting to be not only keepers of scholarship but also participants in content creation, by supporting journal publishing, disseminating data from digital repositories, and more.